Discussion in 'Completed Majors' started by RexLeRouge, Jun 18, 2017. Revolution is back, and it has Skullgirls! Pools will be happening on friday, and Top8 on saturday. FT3 for the whole tournament. 5£ goes in the pot, split 60/30/10. AuraMaster, SillyOldDragon and 4th like this. I just registered, see you all there! Revolution 2016 was the largest European Skullgirls tournament to date, so let's try and make this one even bigger! Updated the OP with the player list. Also, this boy is signed up, hotel room'd up and ready to fight! Great to see that Skullgirls will be on the main stage! I cannot attend in person, but I will definitely be watching the stream. Can't wait! Did I mention StreamMe added 500$ pot bonus? It's this weekend. See you there! Revo is finished. Congratulations to @Alex12898 for taking it! - Venue was great and really well located. Bar and food stand were excellent. Main room upstairs was gorgeous. Could have used a little more light, but I know some players like to play in the dark. Opening/closing times were not like planned. It looked like the security staff had different expectations than the organisers. 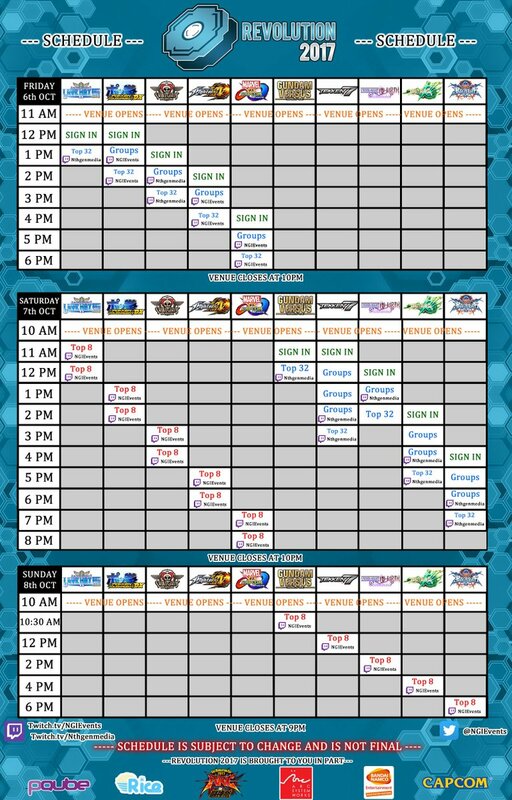 This seriously harmed the schedule (BB pools could not be finished on saturday). General indications or a map would have been excellent, just to easily locate everything. I randomly discovered a few things, and could not find the Raiden V setup. - Friday had a lot of setups for Skullgirls, and we could practice before pools. Kudos to the 2 judges who took care of our pools. It went really fast and smooth. Playing conditions were alright. Enough space, but sound was an issue (lots of ambient noise because the room was so big, no sound on one setup). At one moment, every assigned commentator was playing, and no one was commenting the stream. I asked if they needed help and if I should just jump in, but this was apparently not alright. Saturday was pretty disappointing: no setup for SG at all. Not even one to practice before top8, or for casuals after that. We got asked 2 PS4s to run top8 (probably to not take those away from the GG tournament, and cause delay), and 3 matches were played off stream to save time. I played my 2 top 8 matches on a setup just in front of the main stage left speaker (sound on first match was really really loud). No space to put setups, but there was a little room next to it to do so. No screens, however. You had to bring console + screen. I can't help but feel like I was at a game exposition like E3, more than an actual community focused event. There was a lot of available screens last year, not even one this year. I did ask a few weeks ago if there would be a list of what people bring (again, like last year), so it can be planned out and have enough monitors. Did not get anything from this. - Did not spectate much, but why not use the stream broadcast for the big projector? It has the score and the names of the players, which is also really useful for spectators on site. Still, many thanks to everyone that contributed to make this event a thing. It was visible you guys were understaffed, and working really hard during the whole weekend. Thanks again to the EU SGC crew for showing up. Had an excellent time with you guys, and GGs. Pretty happy (and suprised) with being 5th. I know what I have to work on, but I can't promise when I will do it. KaboomKid, Alex12898 and Ravioli like this.